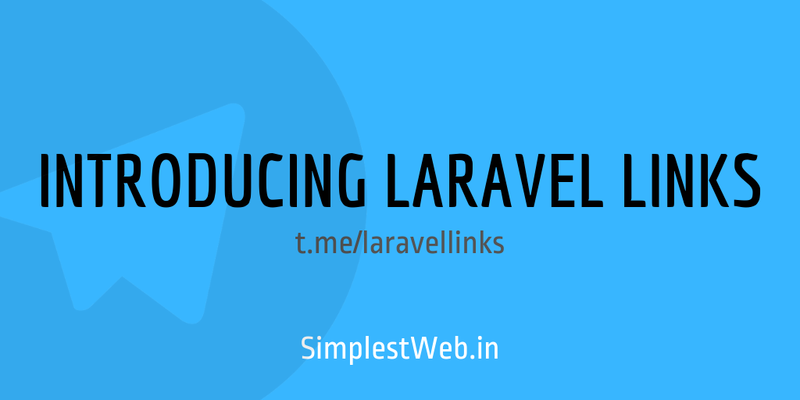 After a few days of the frustrating search for this perfect stream of Laravel Links, I decided to created my own. Then the question of which “social media” arose. After thinking about ease of use, ability to scale, automating the posting process and other aspects, I decided to go with a Telegram Channel. Telegram Channel checked all the necessary checkboxes. It is easy to use, many developers use it, no limit to the members and the best of all, I can automate the posting process with a bot. On Nov 28, 2018, I created a Telegram Channel and posted a message about what this will be about. The description I’ve given it is - Laravel Links is a Telegram Channel dedicated to sharing great Laravel / PHP resources, tutorials, code snippets, tips, general info, official updates, videos, questions, forum posts and more. As of Dec 3, 2018, there are 41 members, an average message view of 36 and 23 links posted.